I think I mentioned this before, but I've gained a little bit of weight since our wedding last year. I attribute it to moving to a new city, a new job, and general laziness. I just love food (especially snacks), and Pittsburgh is just full of delicious stuff to try! Lately I've been trying to turn to healthier snacks instead of junk food. But I'm just not someone who can snack on plain cut veggies. I love me some salad, but not plain veggies. If a snack is going to be "healthy," it must also be delicious. Enter Hummustir. A fresh, healthy option that is also really freaking convenient. These handy packages come ready to mix, and aren't refrigerated. The kind folks at Hummustir recently sent me some of their product to try, and you guys... not only is it convenient and healthy, but it tastes really good! The ingredients come in separate packets in a small cup, which you mix together when you are ready to eat it. You can mix it right in the cup, and the package even comes with a small wooden spoon to do that with. Right now it comes in four flavors, and Dave and I tried the Village Style on Sunday for a light lunch. I was actually pretty surprised how much delicious hummus the package makes, and how healthy it is! 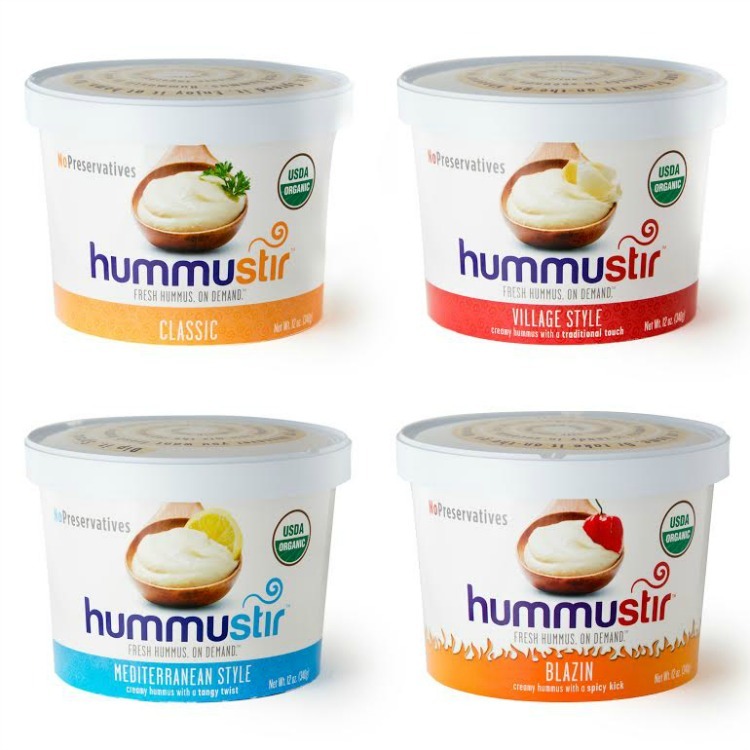 Hummustir contains no preservatives, has only a few ingredients (not a huge, gross list), and contains only about half the calories of traditional hummus. I mean, I'll take that. This is a snack that I am definitely going to purchase again in the future. It is still a new product, but you can find it at your local Walmart. I think we are going to try the "Blazin'" flavor next! Yum! *I was provided product for free in exchange for review. All opinions are my own.